Dentures are appliances that are used to replace natural teeth. The main difference between removable false teeth and other dental replacement procedures is that these teeth are not permanently fixed in your mouth. In other words, after being worn for most of the day, dentures can be removed for cleaning, soaking and to give your mouth and gums a rest. They are fitted to specifically sit in the mouth comfortably allowing the wearer to do many things that may be difficult with missing teeth. Eating, speaking and smiling are the main actions that false teeth can help with, without easily revealing that they are not real. There are a few reasons why your dentist may suggest you need false teeth. If you are missing several teeth where more than three in a row are gone, dentures will often be the logical solution. Smaller gaps can be treated with other procedures such as a crown. For elderly people who may have teeth that have been subject to years of wear and tear, the level of deterioration may require dentures to remedy. In many of these cases, false teeth can eliminate various infections and become a form of pain management. 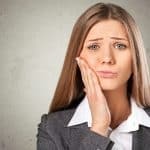 Anyone who has experienced a trauma to their teeth where many have been knocked out, such as in an accident or sports injury, may require false teeth. 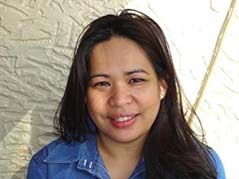 Again, the size of the gaps between natural teeth and the location of those gaps will determine this. When a high number of natural teeth are missing, the remaining ones may be removed by your dentist. Once this has happened, a complete denture plate will be constructed and fit into your mouth as a replacement for a full row of either upper or lower teeth. For situations where only a few teeth are missing, which create wide gaps in the mouth, a different solution may be proposed. Depending on the condition and locations of the remaining natural teeth, a partial denture may be the best false teeth option. A partial denture is exactly as it sounds. It is a smaller set of false teeth that are fitted to fill the gaps of missing teeth. These appliances typically are molded to fit with anchors, clips or some other attachment around existing teeth or into the jaw line. There are different types of partial dentures that can either act as ‘permanent’ replacements or can be removed each evening. The deciding factors rely heavily on the specifics related to your teeth, mouth and jaw. Your dentist will be able to advise you on your options. 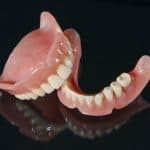 If you would like more information about the differences between partial dentures and full dentures, click here. Essentially, in order to create a proper fitting denture plate, any remaining teeth will likely need to be removed. However, the swelling that follows multiple extractions will cause the mouth and jaw to assume a different shape. This is part of the healing process. Once the swelling has subsided. measurements are taken and a conventional (temporary) set of dentures are prescribed. They are used during the time when gum tissue and the jaw bone are healing. Your permanent dentures can only be provided once your mouth has healed, which can be many weeks or months following the extractions. For more information on some of the different denture procedures, click here. Dentures are made from an acrylic resin material, a nylon polymer or from chrome cobalt metal. The most common of these is the acrylic resin. An impression is made of the patient’s gums and this is what is used to create a mold for the final denture. It is from this mold that a wax model is made, and teeth are added to this. 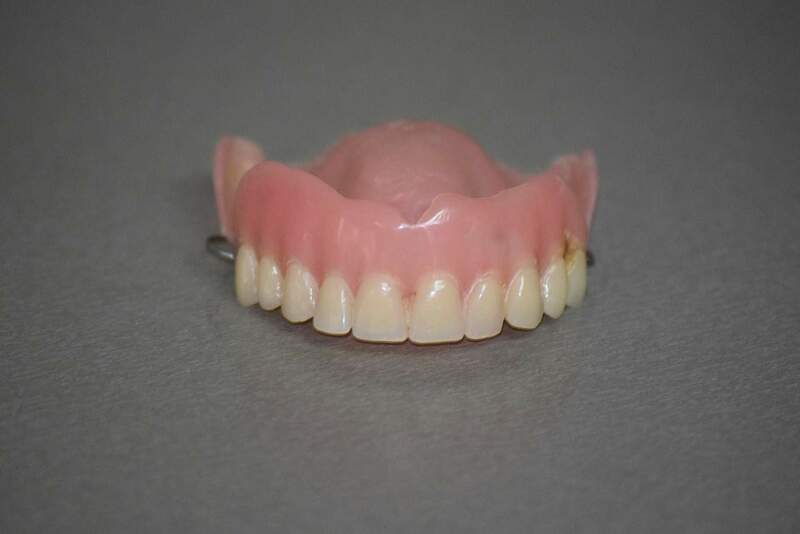 Often the fake teeth are made from porcelain, but it is common practice these days for them to also be made of the same acrylic resin as the actual denture plate that will hold the teeth. The wax model is used to test the fit in the patient’s mouth and is altered and retested until a proper and snug fit is achieved. Once this occurs, the final denture is made from the model. The final denture plate may also require work before the fit is correct. Although dentures are considered permanent replacements for missing teeth, you should not wear them all the time. The only exception is when you are trying out a new set. Your dentist may suggest keeping them in your mouth overnight. This is to ensure a proper fit. However, once your dentures fit snugly in your mouth, you will have to get used to removing them nightly. False teeth are intended to be worn just when you are awake and active. You should remove them to sleep. There is a good reason to take your dentures out overnight. This is so gum tissue is given time to rest and recover from wearing false teeth during the day. It also allows the tongue and saliva to clear the mouth of any dirt or debris that may have collected. The better care you give your false teeth, the longer they will last. 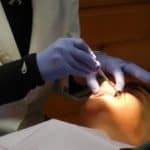 However, there are procedures that you must follow that are quite different to caring for natural teeth. With proper care, your dentures should last between five and seven years. Dentures are strong but they are fragile. A dropped plate can crack, chip and even break. Therefore, it is wise to either line a countertop with a thick towel or fill a sink with water. This way, if you drop your dentures, they will not hit a hard surface and become damaged. Your first actual cleaning step is to remove the dentures from your mouth and to rinse them under a tap of warm running water. While doing this, gently rub away any residue that may be attached to the dentures including visible food particles. There are three different methods that you can choose from to clean dentures. You can manually brush them, use a denture cleaning solution or an ultrasonic cleaner. While each of these methods work well, a combination of the three is best. When brushing, ensure to use a soft bristled brush designed for use with dentures. When brushing, do so gently and brush as you would your natural teeth. As mentioned, there are special denture toothbrushes designed to not cause damage to your delicate false teeth. See this article for more information. You can use either a moist brush or brush with toothpaste formulated for denture cleaning. Do not use regular toothpaste as it contains abrasives that are good for cleaning natural teeth but can damage the softer surfaces of false teeth. A denture cleaner is a good option as they are available in both gel or paste and can be applied to all surface areas. For more information on some good denture toothpaste options, click here. An ultrasonic cleaner is a very thorough appliance. It works by using sound waves that vibrate microscopic bacteria and food particles off of the dentures while they sit in a tank of water or cleaning solution. This cleaning tool is much like a professional cleaning. For a review of the best ultrasonic denture cleaner options, click here. Because the material dentures are made from is porous, they must remain moist. When false teeth spend time inside a mouth they are in the proper environment. However, when they are removed at night the risk of drying out exists. Dry dentures can crack and warp out of shape, which is why dentures must be left to soak overnight. A glass with tap water will do the trick as will one of many different types of denture soaking solutions that can be found in the marketplace. For a look at some different denture cases and denture bath options, click here. And for more tips on storing your dentures, click here. After cleaning dentures, it is important to rinse them off one more time. This removes any food or bacteria that have not been taken away from cleaning or soaking. The warm water rinse also helps to flush away any of the cleaning solution that may still be on the false teeth. Over time your false teeth may start to lose their shine. Even with regular cleaning and brushing, the foods you eat and beverages you drink can still cause dentures to change color slightly. Just like your natural teeth, you can give your dentures a whitening treatment. There are different ways to whiten your false teeth. Check out this article for more tips. If your dentist has done a good job of fitting your dentures, and your mouth has not changed shape along the jaw and gums, your dentures will fit snugly on their own. Natural suction should keep them in place and there should be no slipping. When false teeth become loose it is usually related to a change in the shape of your mouth. The best way to keep dentures in place when this happens is with one of many different denture adhesives that are sold at drug stores. These denture adhesives come in powder or a cream/paste form. They are applied to the underside of the denture plate and create a suction when placed into the mouth and seated in position. A very small amount of adhesive is required to provide all day hold. For an in-depth look at the best denture adhesives and how they work, click here. When you are fitted with and receive new dentures you will discover some very interesting things about yourself. First off, your smile will be stunning. This will build your self-confidence and give you a better outlook about how you look. Dentures will also allow you to speak clearly. That is because your lips and tongue will be able to properly form the sounds required to speak. With missing or no teeth to assist, words become slurred and difficult to understand as well as say to others. What will stand out the most when you have new dentures is how different eating will be until you get used to having false teeth in your mouth. Chewing on both sides of your mouth may take a bit of getting used to when first using dentures to eat. Because you now have dentures, your diet may change slightly as a result. Some foods you normally eat you may decide to quit eating including very sticky foods and candies. Any food that requires a sucking action may prove to be challenging with false teeth. For information and tips on getting used to wearing dentures, see this post. As time passes, you may encounter a situation where your dentures will require a repair of some kind. 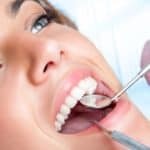 There are two basic types of repairs that are going to result from the daily wear and tear your false teeth with be subjected to in your daily life. There are minor and major repairs. The minor repairs can be something like a small chip or broken tooth. A number of do-it-yourself repair kits are available for small fixes online and at local drugstores. These are meant to provide temporary repairs. For far more serious fixes like a crack, clips that have been damaged and plates that have split or broken in half, you should see your dentist for a proper repair. You may find online solutions for some of these issues but for a correct repair, your dentist will be able to assist. For different ways of repairing a broken denture, make sure that you see this article. There are several variables that will impact the cost of false teeth. Essentially, the material they are made from and your specific needs will determine the final cost. Partial dentures will cost less than a complete denture simply due to their size, but may not be the best false teeth option for everyone. The number of dental visits required for fitting and alterations will also have a part to play in the cost of false teeth. Some patients require fewer visits than others and those factors cannot be anticipated until the process is well underway. We have done quite a lot of research into the different denture options and prices, but prices will always vary depending on many factors. Have a look at this article for an in-depth look. In addition to this, once again depending on many factors, some people may also be able to receive free or discounted dentures. Please have a look at this article for more information. If you have lost a number of natural teeth, dentures are a good way to restore your smile, and allow you to speak well and permit eating most of the foods that you enjoy. 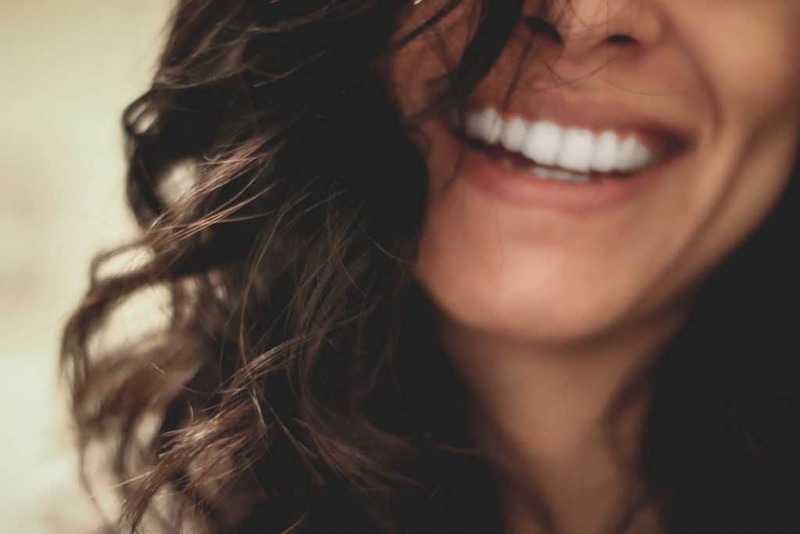 Dentures can also restore your life… When you feel good about the way you look – with a smile that is full and bright – it will increase your self-esteem. Aside from the cost, which may be high for some individuals, the only real disadvantage to dentures is that they do not last forever. That being said, if you take care of them by following the denture routine above, you should quite easily get 5 to 10 years out of them. However, changes to your gum and jaw bone can mean that they do not fit as well, which means that a refitting or denture relines are required. They also can be damaged just by being knocked to the floor, so you have to be careful where you store false teeth overnight. 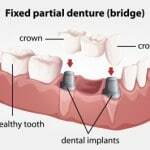 Missing teeth are no longer a problem with partial and complete denture options available. There have been many advancements over recent years and false teeth are more common than you may think. All you need to do is visit your dental professional to see if you are a suitable candidate. Although prices can be high, it is still worth investigating to explore the different options available. The end result will not only improve your smile… it can change your life.